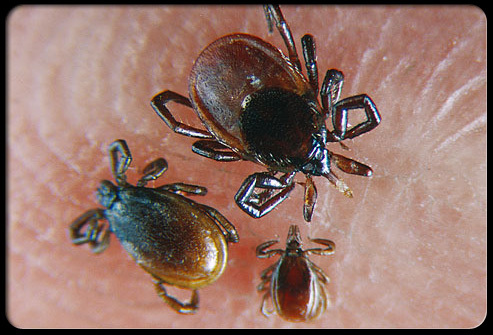 Black-legged, or deer ticks, can transmit Lyme disease to humans. 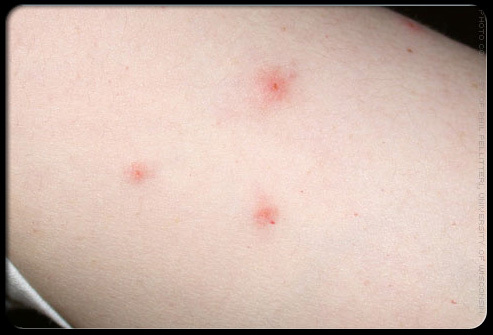 Ticks latch onto skin where they feed on blood. 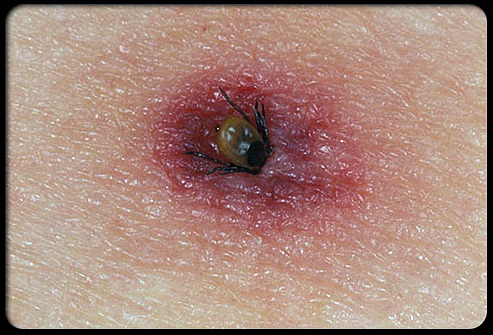 Ticks can cause Lyme disease which may cause a bull's-eye rash. 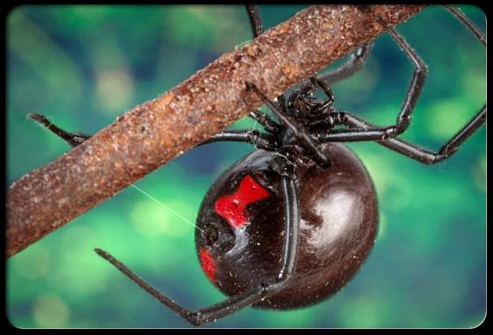 Female black widows have a bright-coloured "hourglass" on their underside. 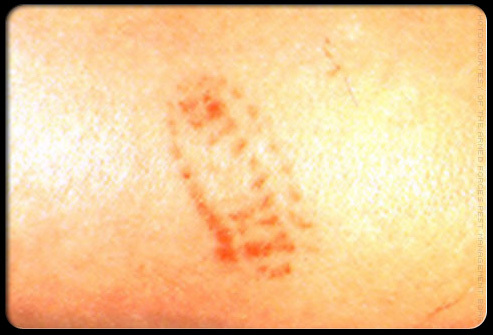 Tiny red fang marks identify black widow spider bites. 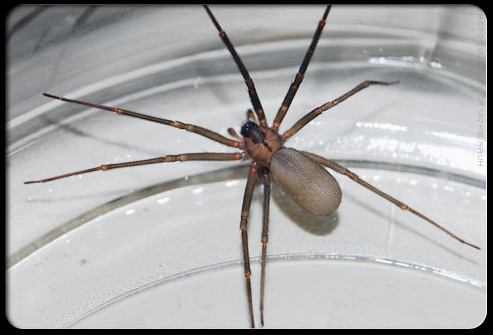 A brown recluse spiders bite can cause tissue death. 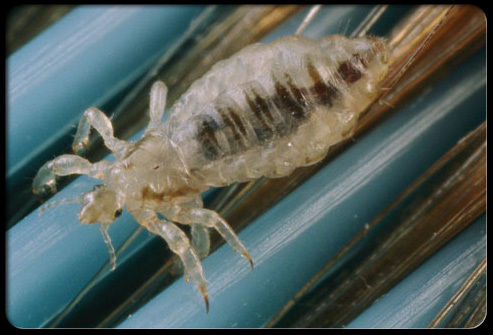 Head lice are grayish-white and no bigger than sesame seeds. 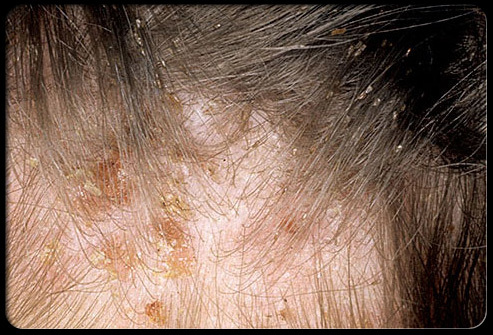 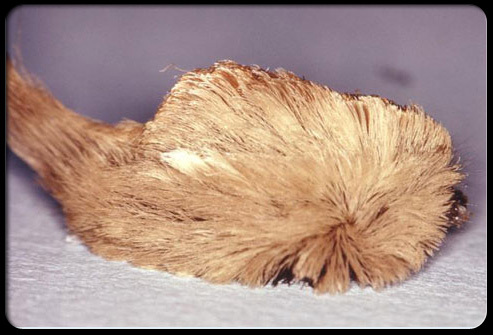 Scalp with skin infection from scratching: lice eggs are glued to the hair. 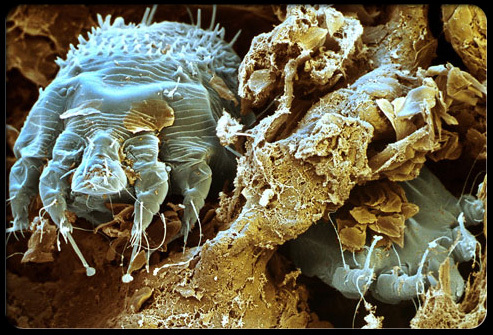 A close look at a flea. 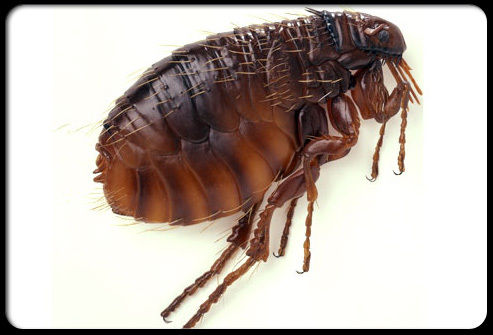 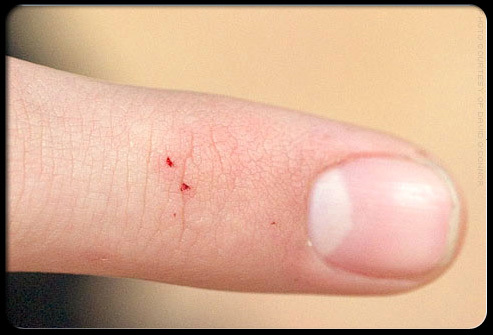 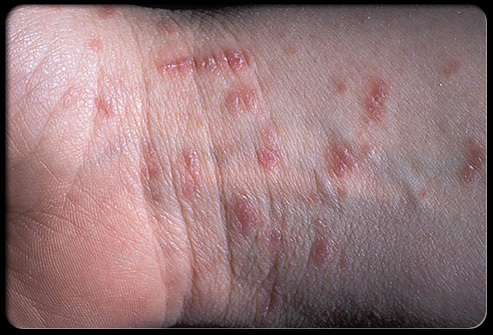 Flea bites result in raised, itchy spots with puncture marks in the center. 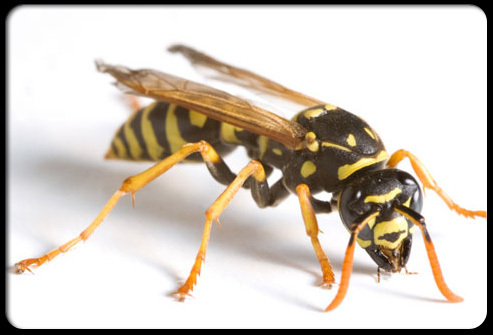 Like a wasp, a yellow jacket can inflict multiple stings. 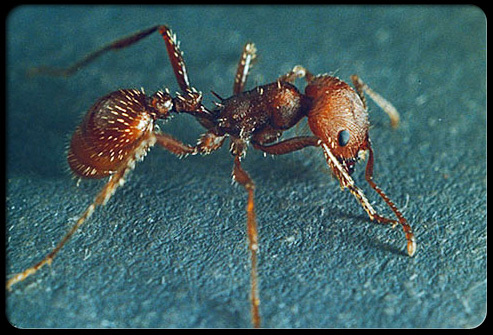 A close look at a red fire ant. 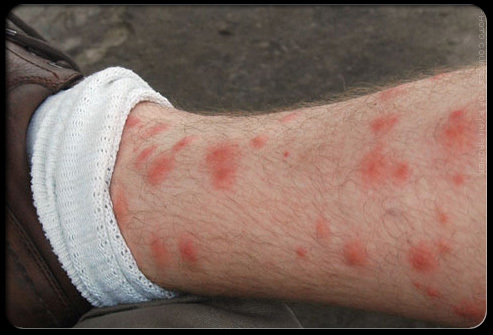 Painful bites from the fire ant quickly fill with pus. 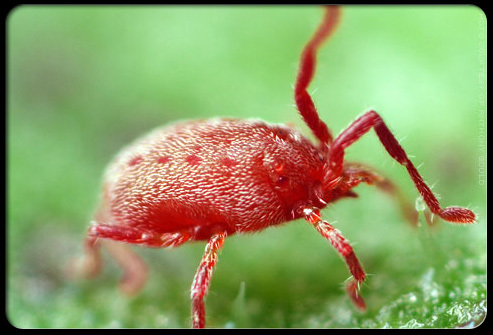 Chiggers, or harvest mites, usually cannot be seen without magnification. 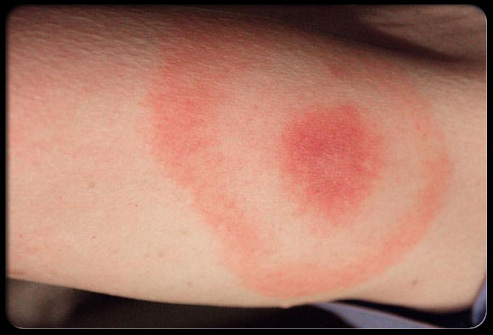 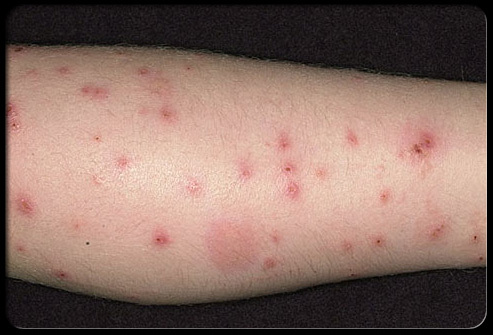 Itchy, red welts can result from chigger bites. 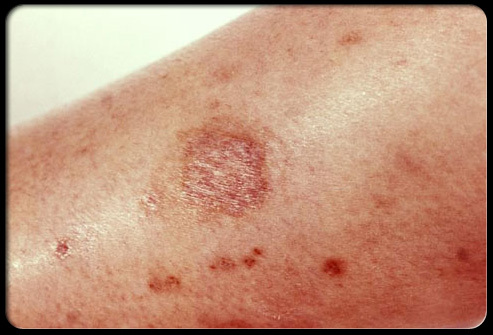 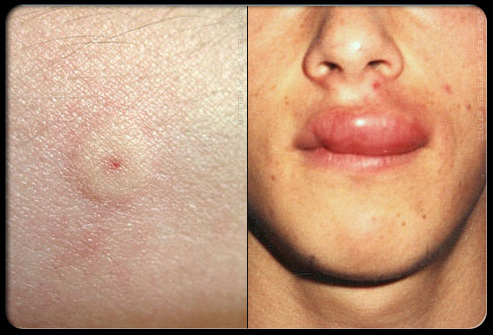 Weeks may pass before itching and skin sores develop. 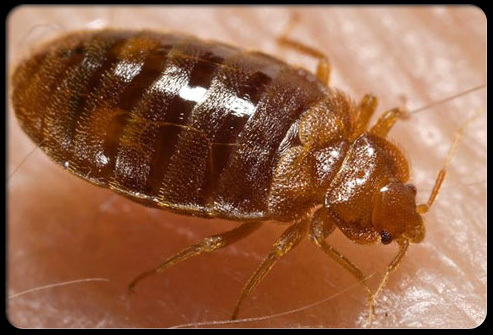 Bedbugs are very tiny and can be seen by the astute observer. 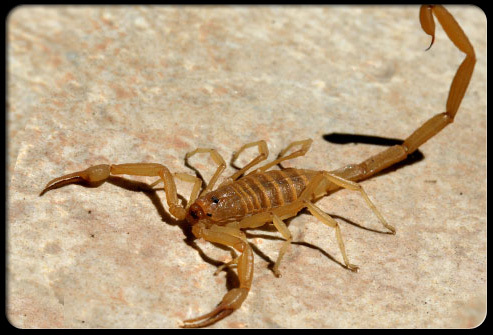 The Arizona bark scorpion's venom is very dangerous. 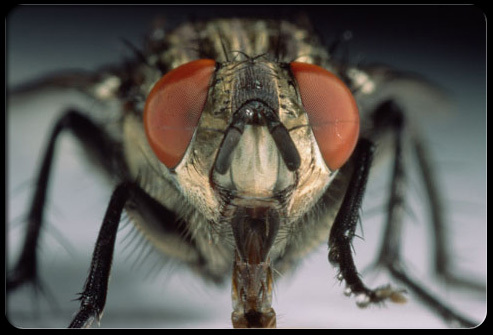 Deerflies are larger than a housefly and have a pattern on the wing. 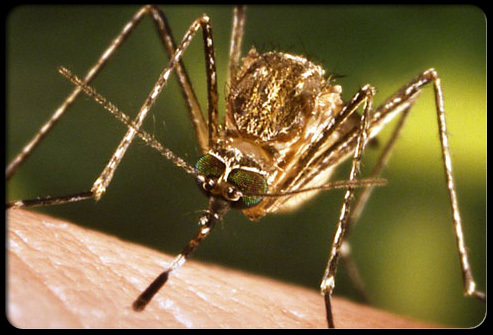 Mosquitoes can carry diseases such as West Nile virus and dengue fever. 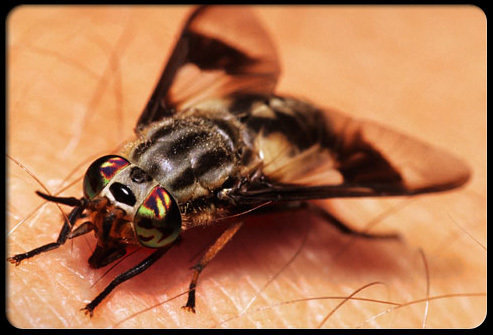 Houseflies don't bite, but they can carry harmful bacteria. 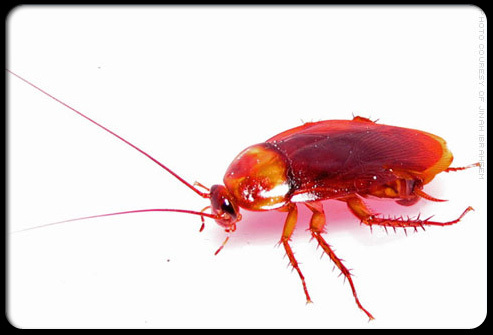 Dead cockroaches can trigger asthma and allergic reactions.